Order Your Fast And Accurate Divorce Certificate Translation Now! There are times when people like you may wish to come and live and work in the country but you have divorced your partner in your country of origin. When coming to the United States, you may wish to apply for a marriage license after meeting a new partner. You will need to provide your divorce certificate from your country of origin. This has to be provided, along with a translation that we can provide at Cinch Translations. If your spouse lives outside of the U.S., it is unlawful for you to marry someone else in the U.S. unless you have divorced legally in your home country. If you fail to get the right evidence to prove your divorce, a second marriage will not be legal. 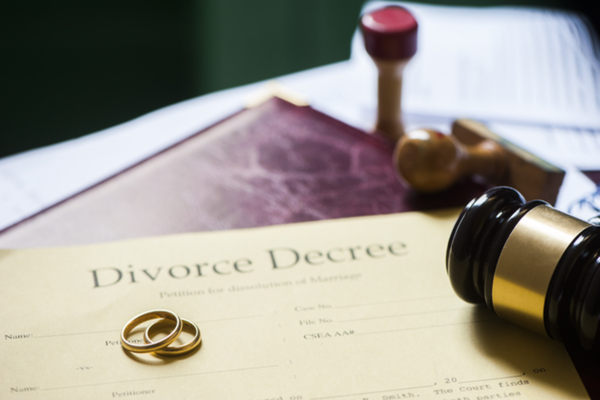 A divorce certificate proves to the court that you have terminated your other marriage. A divorce certificate can’t be filed in your native language if it’s not in English, you must get an accurate divorce certificate translation first. We at Cinch Translations understand your situation and have a team of translators covering more than 90 of the world’s languages who are eager to provide you with the translation you require. In many U.S. states, courts and marriage license authorities will only accept a certified divorce certificate translation. Therefore, if you need to get your divorce certificate translated you can depend on Cinch Translations as we have experienced translators who are used to certifying their translations and do it with confidence that their translations are as accurate as they can possibly be. having reached the required standard through our rigorous testing system. We don’t just concentrate on divorce certificate translations but we have hundreds of translators who do a huge variety of translations. We translate degree and diploma certificates and transcripts, product and corporate information, technical translations covering a whole range of subject areas from medical reports to technical manuals. We can translate websites to include the world’s main languages. We also cover legal documents like birth, marriage and death certificates. Because at Cinch Translations we cover such a diverse range of subject matter we are sought after by the most experienced translators who like to work with us because of the challenges we provide to enhance their careers. Even though we have a fast turnaround for our clients, we guarantee to maintain the high standards you deserve.